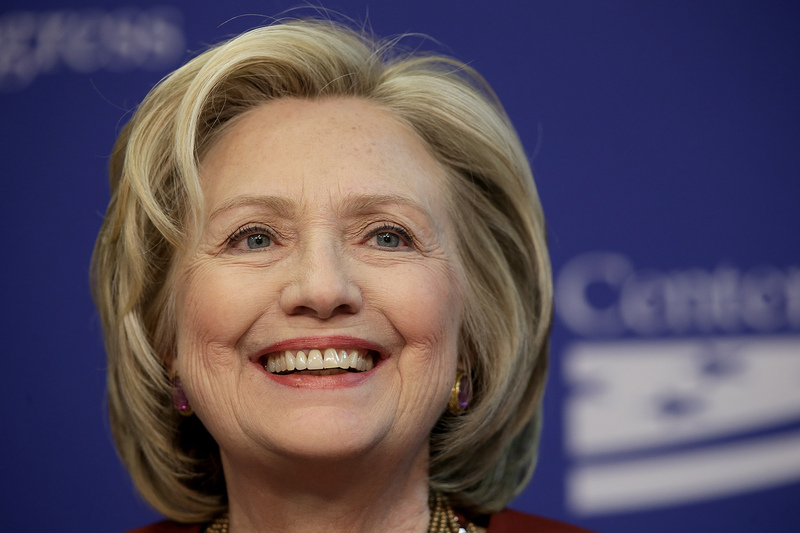 It's finally official: Former secretary of state Hillary Clinton is running for president. On Sunday, after hours (and, indeed, months) of anticipation, the Associated Press and The New York Times reported that Hillary Clinton was definitively running for president, following a leaked email blast from her anticipated campaign chief John Podesta. While Republican candidates have publicly been positioning themselves at the primaries' starting line, Clinton is the first Democrat to officially launch a campaign for the upcoming 2016 presidential election. The AP announcement came shortly after Podesta, who was widely speculated to be running the Clinton 2016 campaign, wrote in a leaked email to campaign donors: "It's official: Hillary's running for president. She is hitting the road to Iowa to start talking directly with voters. There will be a formal kickoff next month, and we look forward to seeing you there." The message was shared widely on Twitter. In order to win this time around and become America's first female president, Clinton must secure the young vote. Back in 2008, young voters rallied behind an enthusiastic then-Sen. Barack Obama, who also made major gains in his bid through social media campaigns and online fundraising. Her last campaign run spectacularly failed largely due to internal staff squabbles and poor management. But Clinton hopes things will be different this time around in what will undoubtedly be a historic election for this country. And, minutes after that, Hillary Clinton's campaign unveiled its official campaign video. Finally, she Tweeted what we were all waiting to hear. Welcome to the race, Hillary!